At the press of a button, the Di Blasi R30 will fold down to the size of a suitcase and can be stored in a car boot or small space with ease. Price excluding VAT.(Incl. VAT £3,000) *VAT Relief available on this product. From the beautiful island of Sicily, the Di Blasi R30 is a revelation in mobility scooter design. This fully folding mobility scooter is automatic, meaning that you won’t need to unfasten any parts or clips – simply press the button on the side of the Di Blasi and watch it fold/unfold before your eyes. The Di Blasi R30 is perfect for everyday use, or for the person who’s always on the move. The collapsible design makes it ideal to be carried on aeroplanes, trains, coaches and cruise ships. The high ground clearance, low centre of gravity, and oversized wheels provide a stable ride. Once folded, you’ll be able to either store in a car boot or small space or simply pull along like a suitcase. Whether you’re always on the move or travelling on a regular basis the Di Blasi R30 would be a perfect choice. 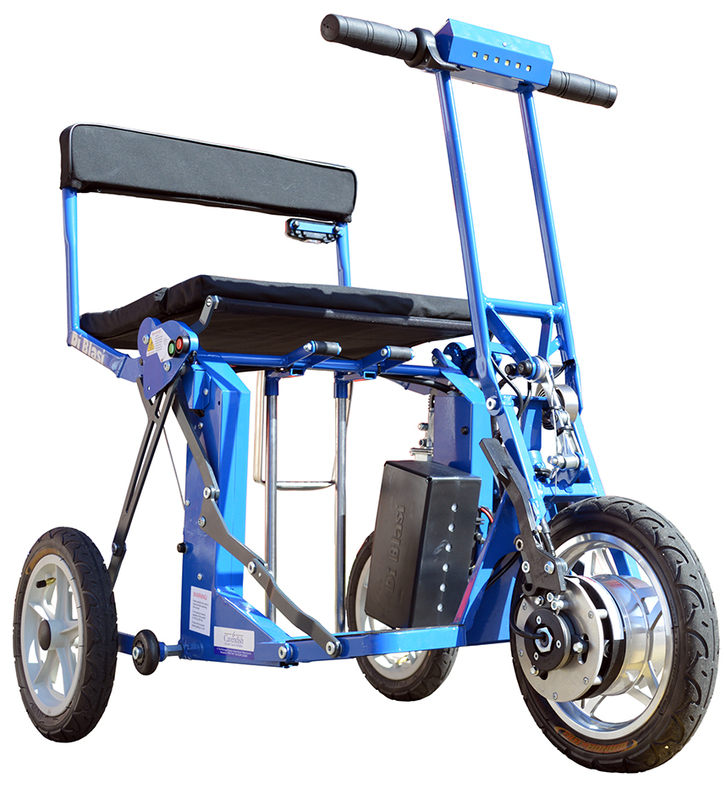 This mobility scooter also features an optional Di Blasi R30 Car Hoist available from Cavendish Healthcare.